Albrecht Durer is widely regarded as the greatest Renaissance artist to come from Germany and is remembered as a valued printmaker and theorist as well as a painter. In a similar way to what Leon Battista Alberti achieved in Italy, Durer was one of the first artists in northern Europe to change the way people viewed painting; from being considered a skilled trade to becoming highly sought-after as an expression of genius. After Durer finished his apprenticeship aged 19 he was able to travel and further his studies and such insight enabled him to create powerful and innovative paintings that influenced the rest of Europe. Gifted is a word that is often used to describe Albrecht Durer who understood art and his role in developing it and he left a lasting legacy on the art world. Albrecht Durer was the son of a Hungarian goldsmith, with the same name. His father moved to Germany in 1455 and married Barbara Holper in 1467. 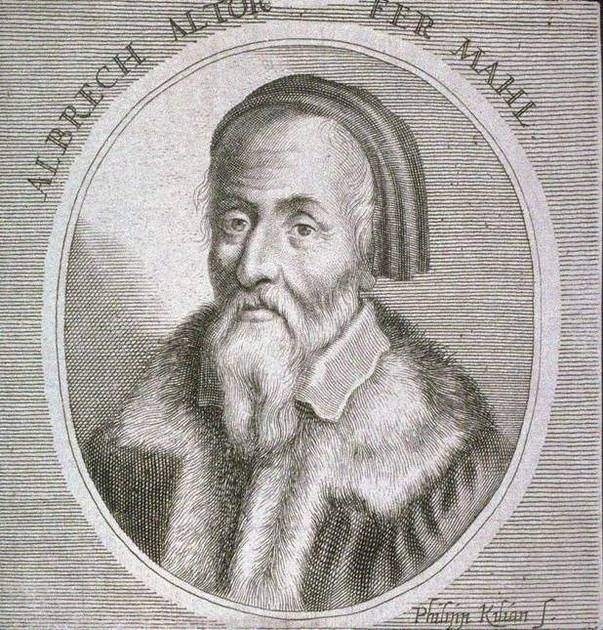 Albrecht was born in 1471 and it's believed he was one of around 14 children. Although there was a rich goldsmith heritage within the family Albrecht began painting around the age of 13, drawing inspiration from the people around him. 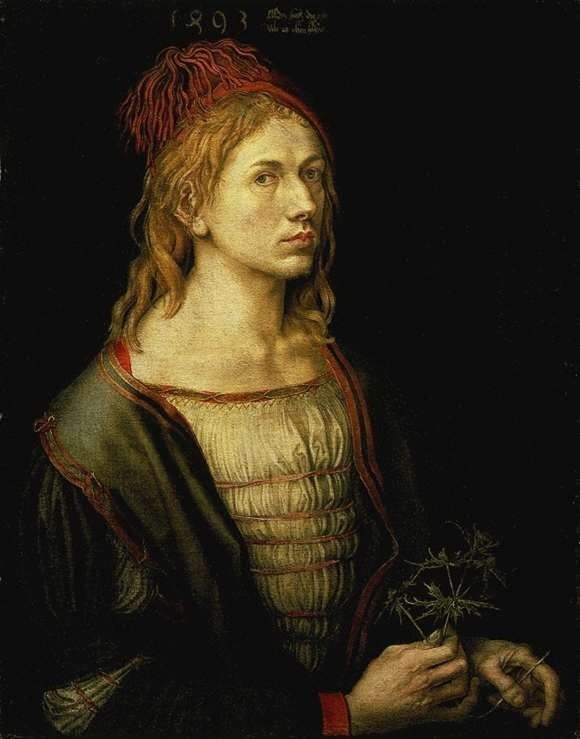 Durer began an apprenticeship under the German printmaker and painter Michael Wolgemut aged just 15. Wolgemut was an expert in woodcuts and paintings and at the time he was one of the best artists in Nuremberg, which was a strong and influential city at the heart of Germany with links to Italy and the Alps. 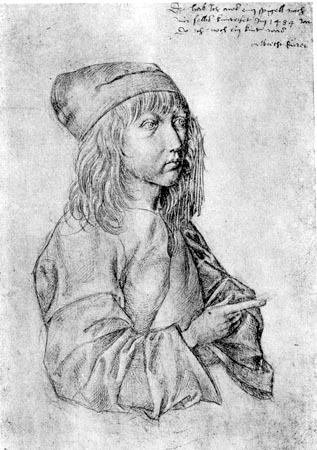 Durer completed his first work, a self-portrait, in 1484. He left Germany six years later for a 'wanderjahre,' what is now referred to as a gap year or year to travel. The full details of his travels are unknown however it is likely that he headed to Frankfurt, Holland and Strasbourg where he painted self-portraits for the first time. In 1492 Durer visited Basel in Switzerland to see the Schongauer brothers (Martin and Georg) before returning to Nuremberg and marrying Agnes Frey in 1494. They had no children. Durer remained in Nuremberg for just three months before heading to Italy. His journey took him across the Alps and he used that time to make sketches using watercolors. This was the first of two visits the artist made to the southern European country. Next Durer headed to Venice as he looked to broaden his artistic world at one of the homes of the Renaissance before heading to Mantua and Padua. He returned to Nuremberg in 1495 and stayed there for a decade. Durer opened a workshop and began developing his skills and portfolio. During the first years of this venture he created woodcut prints that were based mainly around religion, such as The Men's Bath House (1496) which were impressive in both composition and complexity. 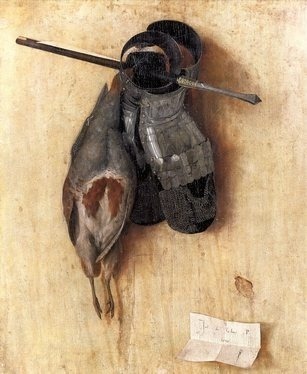 Whether Durer cut the wood himself is debatable but his training as an apprentice meant that he understood the technique. In 1502 the artist lost his father and his mother died in 1513. 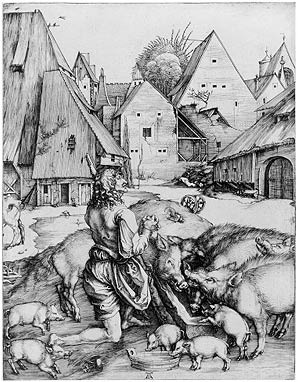 Burin (engraving tool) and engravings were the next skills that Durer trained to use, although he may have gained an understanding from his father. He first demonstrated this technique in his Prodigal Son. Other innovative pieces followed as Durer used landscapes and animals as subjects whilst also creating religious figures. These prints soon made him famous across Europe. The famous Venetian artist Jacopo de Barbari was a close friend of Durer's and praised his work but Durer contined studying and learning. 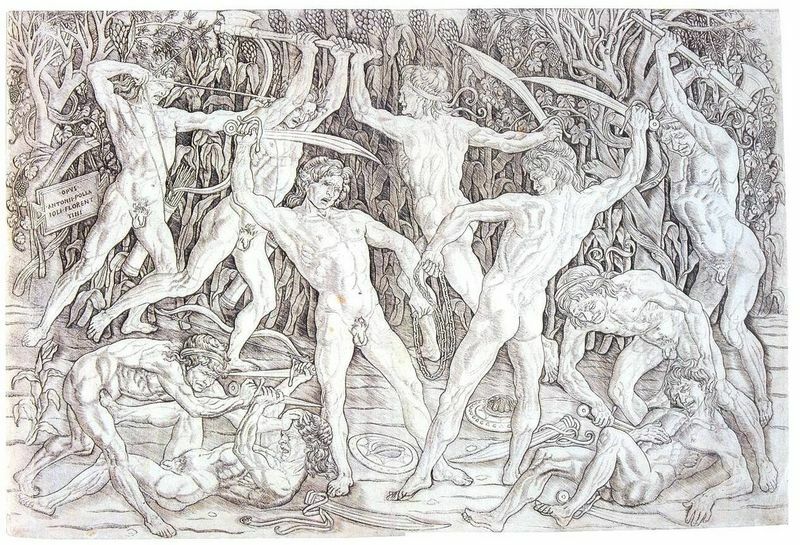 Drawings on human proportion were next on his agenda and works created at this time include the engraving Adam and Eve. 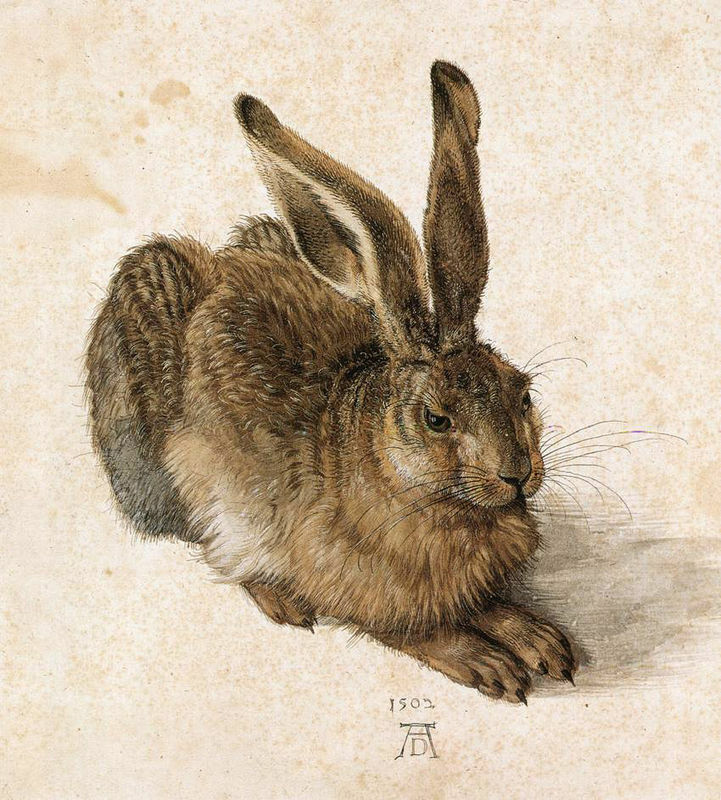 Although engravings preoccupied his thoughts, Durer also continued to create bodycolor and watercolors such as Great Piece of Turf and Young Hare. A stint in Italy between 1505 and 1507 saw Durer return to painting, mainly on linen using tempera. Altarpieces and portraits were the main products, namely the Adoration of the Magi and the Paumgartner altarpiece. In Venice in 1506 Durer created the Adoration of the Virgin (also known as the Feast of Rose Garlands) on commission for the San Bartolomeo church which then found its way to Prague. Other pieces created at this time include Christ disputing with the Doctors and The Virgin and Child with the Goldfinch. Albrecht Durer's popularity rose in Italy (he was now an acquaintance of Giovanni Bellini, Leonardo da Vinci and Raphael) but he felt the need to return to Germany, where he created his most renowned artworks. 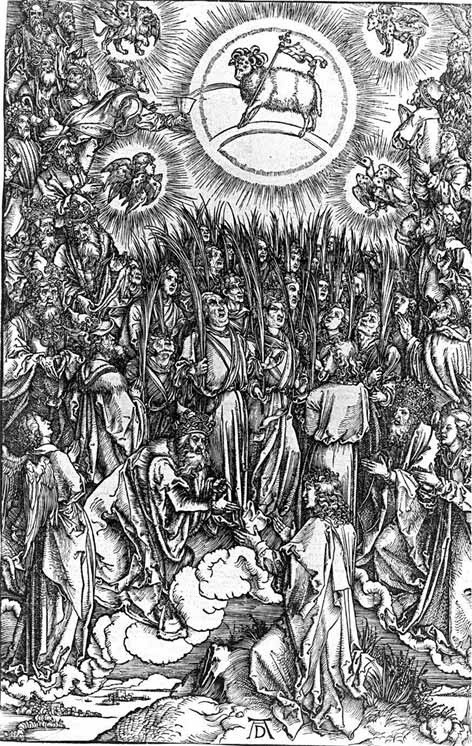 Woodcuts of the Life of the Virgin and Great Passion were also created to showcase developments in Durer's modeling and style. 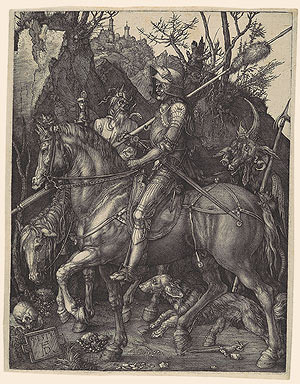 It was from 1513 until 1514 that his most famous engravings were produced, such as The Knight, Death, and the Devil. In around 1512 Durer had befriended Maximilian I and this led to his commission for many works including The Triumphal Arch which was created on 192 different blocks. This was followed with Triumphal Procession. Maximilian I was Albrecht Durer's major patron but died in 1520. Charles V, the new Emperor, then took over this patronage and the artist was well-received, creating charcoal, silverpoint and chalk drawings whilst also gaining knowledge from fellow artists. It's thought that Durer went to Brussels in order to paint Christian II of Denmark. There he was able to view Aztec treasure and said that it was "more beautiful to me than miracles". 1521 saw his return to Germany and his work slowed as he did. 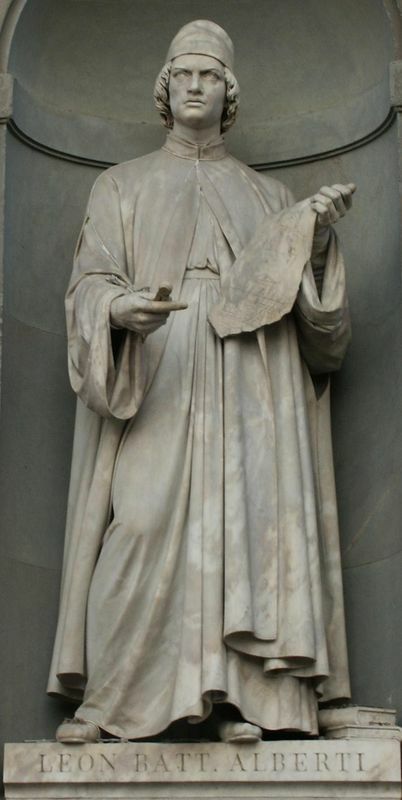 His later life was largely based on religious themes for great projects such as Sacra Conversazione and Crucifixion and he also began writing about perspective, fortification, proportions and geometry. 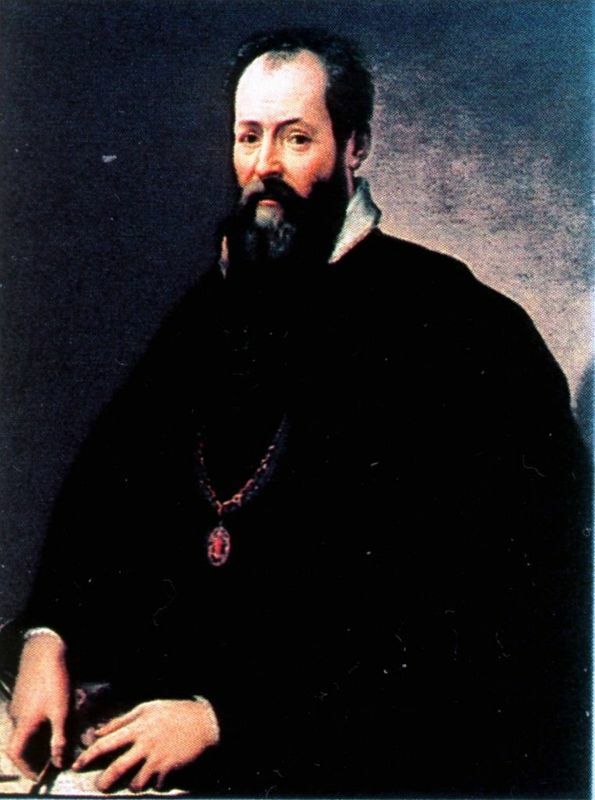 His first book was published in 1525, entitled The Four Books on Measurement. It was a work on mathematics for adults and was followed in 1527 by The Four Books on Human Proportion, based on city fortifications. In 1528, at the age of 56, Albrecht Durer died leaving a considerable fortune and his house/workshop is today a Nuremberg landmark and museum. He is buried in Johannisfriedhof cemetery. Although best remembered as one of the greatest artists that hailed from northern Europe during the Renaissance, it is important to consider that different times in Durer's life saw him producing different styles and techniques. From his subjects to the actual mediums he used, he was diverse in his genius though he focused on three main areas; painting, printmaking and theoretical works. Durer's first piece was a self-portrait that was made using silverpoint at the age of 13. He used silverpoint for numerous drawings, particularly those dated after 1520 and his visit to the Netherlands. 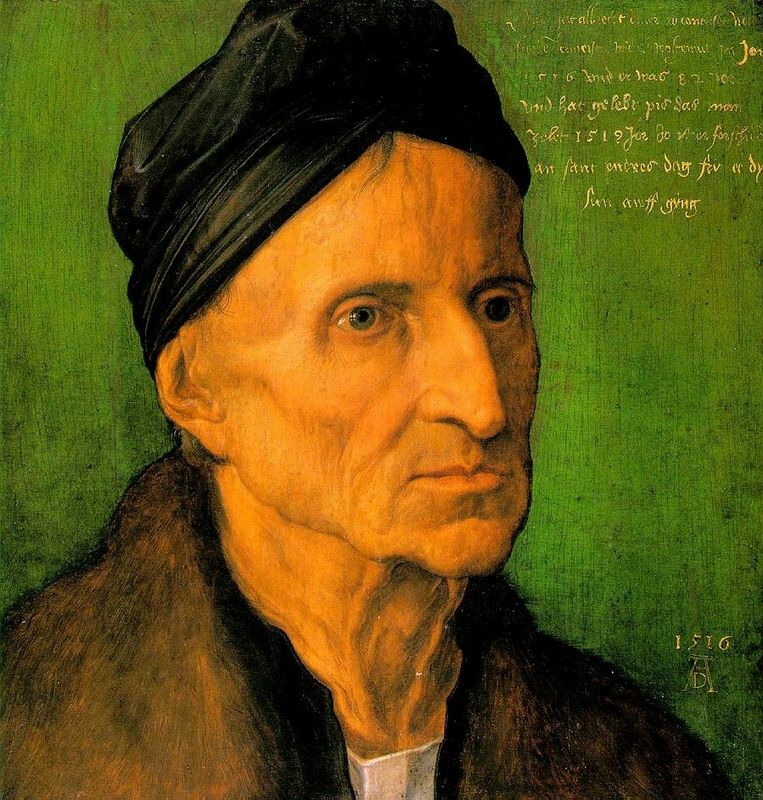 His first major self-portrait was created around 1493 in Strasbourg. The artist's style changed when he arrived in Italy in 1494 and began using watercolors for his sketches. He produced many landscape sketches of the Alps during his time there and also learnt woodcuts and drypoint from works of Martin Schongauer. The engravings and drawings Durer created at this time show the influence of Schongauer as well as that of Antonio Pollaiuolo. 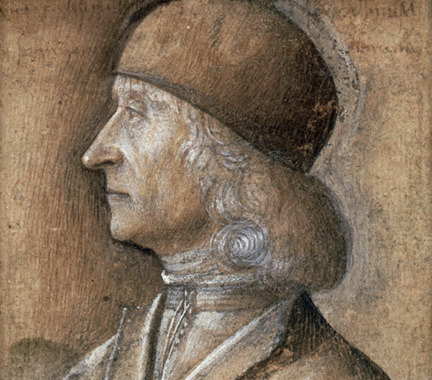 After his return from Italy in 1495 Durer opened a workshop and refined his style over the next five years using Italian Renaissance influences and combining this with his northern European technique. His main work at this time was woodcut prints of a religious nature and complex works of artists with a balanced composition. In his workshop Durer began to master the art of using burin for engravings and this was connected to his goldsmith upbringing. 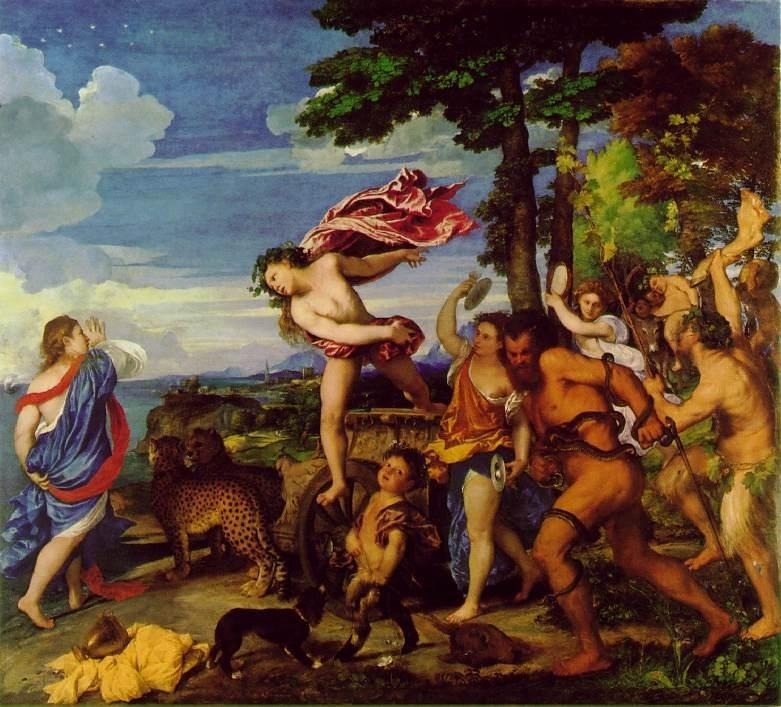 His Prodigal Son was a particular masterpiece from this category as he used it to detail landscapes and animals. At this time he also started to combine watercolors and bodycolors, as seen in the Young Hare before heading back to Italy and working with linen and tempera. His altarpieces and portraits from this era clearly demonstrate the influence of Italian art as well as his Germanic roots. When Durer returned to Nuremberg in 1507 he began creating the pieces that he is most remembered for. He began with woodcuts that had a strong Venetian influence and Durer's chiaroscuro (contrast between light and dark) effects on modeling, which he had developed. He was the first to understand that making a mid-tone in a print can highlight and contrast shadows. Engravings, woodcuts and linen portraits were high on Durer's agenda and it wasn't until he was commissioned by Emperors that he reverted back to painting. Around 1518 he moved into producing theoretical works before heading to the Netherlands where he produced many admired drawings using chalk, charcoal and silverpoint. Quite rightly classed as a master of the Renaissance, Albrecht Durer was aware of his talent and he dressed lavishly, meaning he was remembered as a man of style as well as an internationally-acclaimed artist. Durer's earliest influences were his father (Albrecht Durer senior), who was a goldsmith, and his godfather Anton Koberger, who became a painter. Under his father's influence he learnt about mathematics but his talent for drawing meant that he progressed into painting. He developed his skills during an apprencticeship with well-known painter and woodcutter Michael Wolgemut at the age of 15. 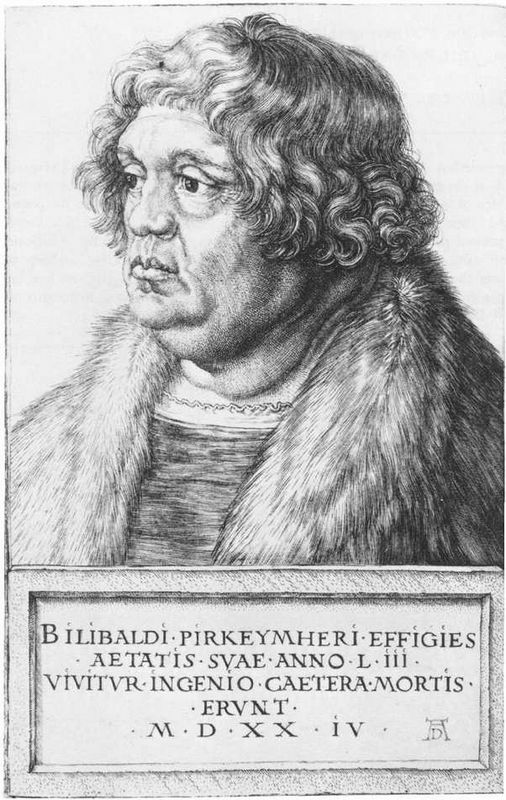 Durer had a childhood friend called Willibald Pirckheimer whom he consulted on many of his works throughout his career and from him he learned a great deal about the world. Durer travelled regularly during his life and although he visited all of Europe, it was his two visits to Italy that most influenced his future works. Through his trips to Italy (1495 and 1505) he was exposed to the works of great artists such as Antonio Pollaiuolo, Mantegna and Lorenzo di Credi, among others. Durer once wrote that the best artist was Giovanni Bellini and it is likely that he drew inspiration from him. He also experienced Nikolaus Gerhaert's sculptures whilst in France. Although a Roman Catholic, Durer was intrigued by the works of Martin Luther and was sympathetic to the ideas he proposed regarding the Reformation which led to some of his later works including Protestant and evangelical sympathies. He supported the reforming of spiritual truth because of this but the violence involved repelled him. Durer's legacy is great and it was in printmaking that he left the biggest mark. Durer's ability to gai notoriety across the whole of Europe is known to have inspired many famous artists who wanted to send their work overseas, such as Titian, Parmigianio and Raphael. Durer's work in engraving has never been fully replicated but a group of German artists known collectively as the Little Masters tried to master the his work by basing their creations on his pieces. Artists belonging to this group included Albrecht Altdorfer, Hans and Barthel Beham, Heinrich Aldegrever and George Pencz. 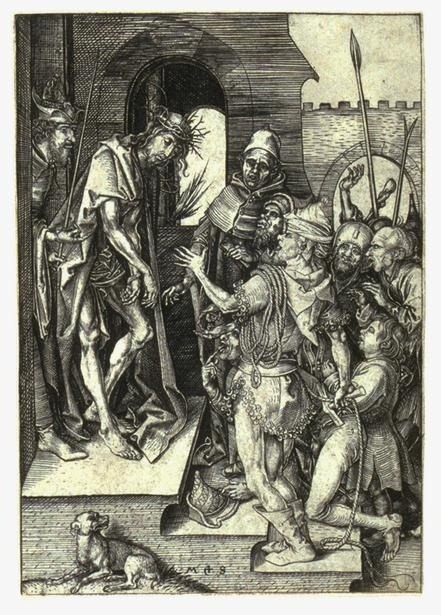 No large engravings followed but many smaller pieces were made using Durer's composition theories. Dutchman Lucas van Leyden was the only engraver to have relative success following in Durer's footsteps. Durer's trips to Italy meant that his influence spread to the Southern European country and his landscapes were copied partially by the new Italian generation of engravers that included Christofano Robetta, Agostino Veneziano, Giulio Campagnola and Marcantonia Raimondi. Durer's painting was impressive in its appearance but had little influence from the countries that he exposed himself to. The altarpiece in Venice is the only thing that remained in Italy and successors from Germany were unable to match his blending styles. The 19th and 20th centuries saw an expansion on the influence taken from his self-portraits, with artists using a similar dramatization and intensity. Although an artist by definition, like most of the masters at that time Durer was also a theorist. His work The Four Books on Measurement was cited following his death by both Kepler and Galileo. Aside from this Durer's work has always been popular and there were even revivals in his style and technique during the 'Durer Renaissance' between 1570 and 1630 and from 1870 and 1945 when German Nationalism was in full flow. Such was the ability to remake and transfer prints that in the late 1490s and early 1500s Durer was creating some spectacular works and became famous in most of Europe's artistic circles. Nemesis, The Sea Monster, Saint Eustace and The Prodigal Son are great examples of these. 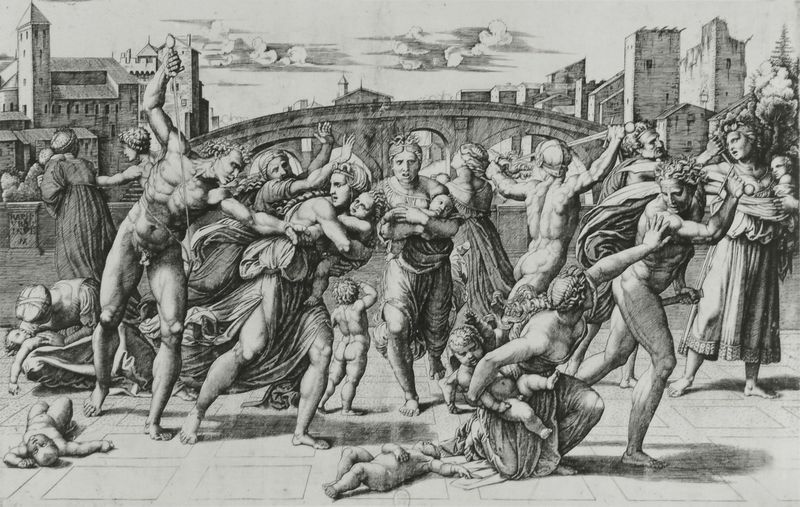 In 1500 Italian printmaker and painter Jacopo de' Barbari praised Durer for his research and developments in anatomy, proportion and perspective which helped the Venetian to learn more about the world of art. 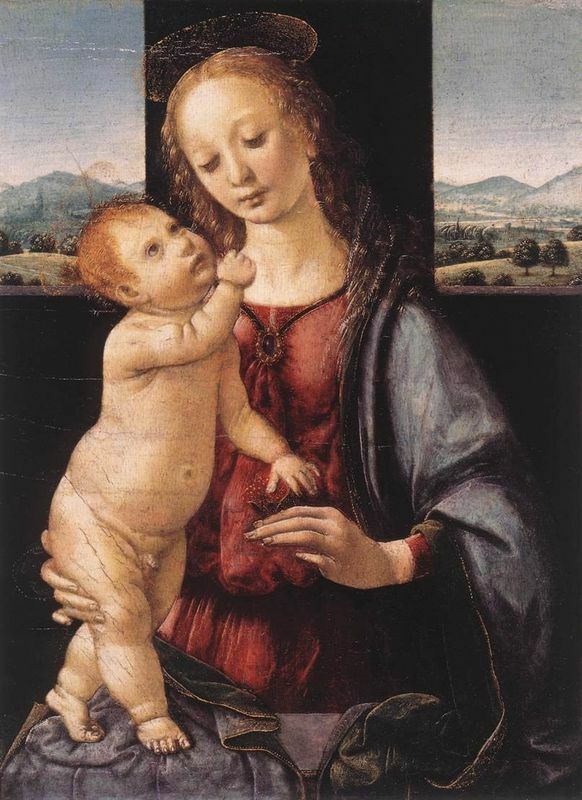 The two had met around five years earlier when Durer visited Venice for the first time. While he found inspiration in Italy, local artists greatly admired his work. As early as the 1500s German biographers such as Jakob Wimpfeling and Johann Cochlaus were reviewing Durer's work and referring to him as an outstanding artist and genius in the field. The vast circulation of his woodcuts and engravings meant that following Durer's death his name continued to grow in stature and reprints continued for many years and were often copied in other forms. Vasari looked into Durer's work in some depth, particularly the Prodigal Son which was created in 1496. Vasari singled it out as one of Albrecht Durer's best works and a masterpiece, thanks in part to its Germanic influence and qualities. Even though Durer's worked dipped in and out of the art world and fashion his name has never been forgotten. In fact, on the 500th anniversary of his birth various publications and a host of exhibitions were produced which showed the timeless beauty of his work and how he is still fondly remembered.